What’s happening at St John’s this Christmas? 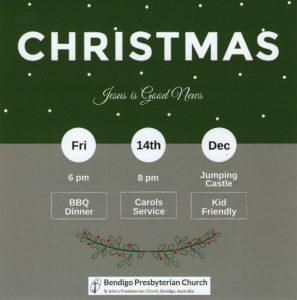 On Friday night December 14th at our church property in Forest Street, we’re having a free BBQ dinner at 6pm with a Jumping Castle for the kids (also free!) followed by our annual ‘Carols by Torchlight’ at 8pm and supper. 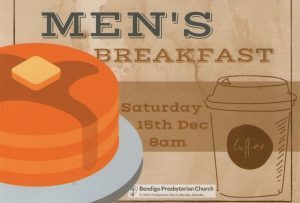 Then on Saturday December 15th we’re having a Men’s Breakfast at 8am (combined with the men from Reforming and Eaglehawk Presbyterian churches) in the Church Hall in Forest Street. 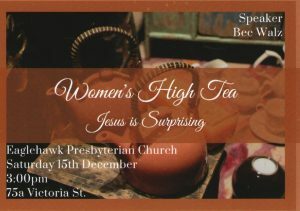 Also on Saturday December 15th, a special event for Ladies (again combined with Eaglehawk and Reforming) with a ‘Women’s High Tea’ at 3pm in the Eaglehawk Presbyterian Church Hall. Like to join us? Let us know! It would be helpful for catering purposes – especially for the High Tea! 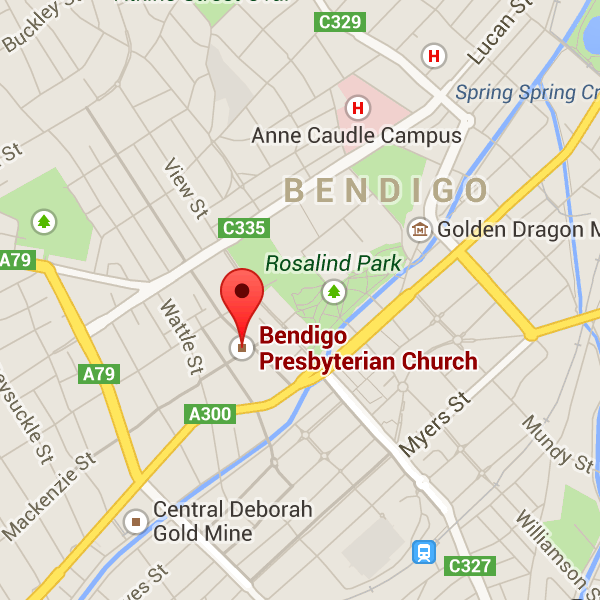 On Christmas Day, December 25th, our service begins 9.30am with carols and a Christmas Bible message.